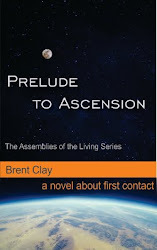 I'm very happy with the way Prelude to Ascension is being received. I continue to hear positive feedback from the Amazon sales site and various other channels. Many thanks! Thought I'd mention that we're working towards releasing an audio version of the book on audible.com. I'll post an update when it's available.